Syria – Chechnya has declared autonomy although it is a part of the Russian territory and despite the opposition of the Russian government in Moscow. Chechnya has large amounts of dangerous Islamists on its soil. There have been reports that some Chechen Islamists were fighting in Syria beside the ranks of the Western-backed “Free Syrian Army” (FSA) terrorists already months ago. 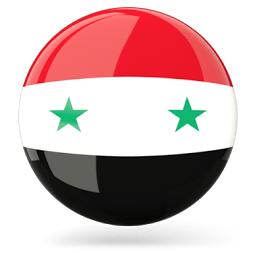 As stated by some new reports, the so-called officials of the region have allegedly now the intention to attract the support and attention of some Western governments and they are aware of the stance of the Russian government towards the Syrian government in the capital Damascus, of course. In addition, the officials of the region sure know that these Western states provide aid, weapons and money to the partly Islamist terrorists in Syria in order to overthrow the Syrian President Bashar al-Assad and the Syrian leadership in Damascus and that these Western states always have the need for more “cannon fodder” to topple them. Furthermore, after the Syrian Arab army has increased its skills and tactics in the urban warfare and the common strategies against these foreign-backed mercenaries and religious fanatics, the opposing alliance needs sure more of this “cannon fodder” – and the Gulf States like Saudi Arabia and Qatar as well as the US, British, French and German governments do not care whether its Islamists “cannon fodder” or not. On the contrary, these powers support these radical forces in order to achieve their questionable goals and dubious intentions. Of course, it is also obvious that this alliance of state terrorism, imperialism and non-democratic forces of the Western governments and these Gulf States will only be united as long as they have to overthrow the Syrian leadership and to topple Bashar al-Assad. If they succeed in these crimes, the Qatari and Saudi ruling families and leadership will have different aims and their path will lead in different directions. It would then be no surprise when Salafis and Wahhabis begin to fight each other. Considering the radical powers, which are supported by the West for their fighting in Syria, this is also no surprise and just reminiscent of the so-called “Salvador option”. Robert Stephen Ford and Jeffrey Feltman, modern interpretations of “Lawrence of Arabia”, are well known in the atmosphere of the “Salvador option”. That some officials of Chechen are interested in the fight against the secular and sovereign Syria is understandable from their view of points and their radical stances of their interpretation of Islam. It was to expect from the beginning of the Syrian crisis and it is also a reason why the Russian leadership in Moscow is afraid of a situation when the radical Islamists might gain the power in Syria and start to support the Islamists on Russian territory. Furthermore, even if the people in the West are not informed about the continued fight of the Russian government against Islamists on own soil, it is still on-going and it is not the situation as if the Russian government would care about the civilians between those radical forces in their fight against these Islamists – that are indeed Islamist terrorists. Contrary to the Syrian President Bashar al-Assad who ordered that the Syrian Arab army should care about the Syrian civilians and protect them, the Russian leadership has never implemented such an order in their fight against this kind of terrorism and threats, but it is also obvious that every army on this planet has black sheep between its ranks and the Syrian Arab army is not different. After the finding of some Chechen passports in the ranks of dead terrorists in Syria in recent months, there is now more evidence that Chechen Islamists are indeed in Syria in order to support the fighting units against the Syrian Arab army. According to new media reports, a group of 39 Chechen terrorists was sent to Syria last week. This group of 39 Islamist Chechen fighters has left London`s Heathrow airport last week for Istanbul, Turkey. From Istanbul, they went to the Turkish-Syrian border in order to sneak into Syria and to join the other Islamists and terrorists – for example, the Western-backed “Free Syrian Army” (FSA). Thus, there are more and more Chechen fighters in Turkey and already in Syria in order to fight between the ranks of the terrorists and to perform their kind of “jihad”, while they are supported by Western powers. It is even to assume that some Western powers are happy about the fact that they support some Chechen Islamists because for Russia, this is not really the best situation. Even if this sounds too far-fetched, you can be sure that some Western politicians think in this way. As stated, this group of the 39 Islamists was not the first group of Chechens which were sent to Syria in order to be “cannon fodder” for Western and Gulf powers. When the armed struggle against the Syrian government in the capital Damascus broke out, Islamist Chechen terrorists were already among the first foreign troops that were sent to Syria through Britain, Azerbaijan, Georgia and Turkey, of course. Although it is legit to say that Chechens had always been treated like second class citizens the last century – under Tsarist and Communist Russia – and a lot of them left their homes to travel to other countries, mainly to the Middle East, it is also clear that a lot of radical religious fanatics are active in Chechen and thus, it is really no surprise that some of them joined and still join the ranks of the Islamists within Syria in order to fight against the secular government and leadership of this country in the Middle East. Of course, they are misused by other forces and as “cannon fodder”. Like the video reports by Syrian TV and ANNA-News as well as the statements of Syrian soldiers and analysts have already confirmed, a lot of the so-called armed insurgents in Syria are from Saudi Arabia, Libya, Jordan, Lebanon, Chechen, Afghanistan and even Israel. Especially the Israelis on Syrian soil are a threat because they are there for specific tactical operations and better trained and smarter as the “ordinary” Islamists from Saudi Arabia, Libya or Afghanistan. Not to mention some Special Forces from Western powers on Turkish soil near the Turkish-Syrian border and the so-called CIA instructors and agents which are proven to be there. Furthermore, a normal soldier of the Syrian Arab army has told FNA (Fars News) already in October that his unit has witnessed a considerable number of mercenaries from Afghanistan, Chechnya and some Arab countries in the ranks of the foreign-backed armed terrorists and Islamists. It is no surprise that many of these Western-backed terrorists on Syrian soil are from Saudi Arabia and October. Some are there for a so-called “jihad” against the secular Syrian leadership and the Alawi (Alawite) Syrian president Bashar al-Assad, while others are hired and paid to fight against the Syrian government forces. Of course, the “Salvador option” works in Syria as usual and it is again easy for some powers to use the “religion” to divide a country or to misuse people in order to increase the level of destabilisation and violence. Furthermore, that al-Qaeda is active in Syria is known since over a year know. The former US ambassador to Syria, Robert Ford, was informed about this since April 2011 and he has informed some specific other embassies in the Syrian capital Damascus already in the same month but as stated, they tried to conceal this information as long as it is (was) possible. These Al-Qaeda forces are not only backed by the Ottoman madman Erdogan and his party in Turkey, but also by the United States and their misanthropic and radical Arab allies like Saudi Arabia and Qatar. For example, in September, some sources disclosed that the terrorist organization Al-Qaeda (some call it Al-CIAda) has set up a new camp in Northern Waziristan in Pakistan in order to train Salafi and Jihadi terrorists and dispatches them to Syria via Turkish borders. The US and the British governments (as well as the German and French governments now) have been playing with the al-Qaeda fighters through their Arab proxy regimes (Qatar, Saudi Arabia, Jordan and parts in Lebanon) in the region in a bid to materialize their goals, especially in Syria. A source of Fars News stated that the Saudi and Qatari regimes serve as interlocutors to facilitate the plans of the CIA in Syria through instigating terrorist operations by Salafi (Salafists), Wahhabi and other Arab Jihadi groups, adding that the terrorists do not know that they actually exercise the US plans. Probably because religious fanatics are rarely outstanding intelligent. The source of Fars News also said that “Turkey has also been misusing extremist Al-Qaeda and Salafi terrorists to increase and intensify the crisis in Syria” and that the Erdogan administration has also helped the new Al-Qaeda branch to set up a camp in Northern Waziristan in Pakistan in order to train Taliban and Al-Qaeda Islamists as well as religious fanatics from Turkey and other Arab countries”. All these radicals are then sent to Syria as “cannon fodder” and in the hope to increase the destabilization and violence as well as to defeat the Syrian Arab army. In addition, some are there to carry out false flag operations which can then be used for propaganda purposes in Western media (and so on…). The source also said that the camp for the training of these Islamist forces in Waziristan, Pakistan, is not only a training centre, but also a command centre for the terrorist operations and attacks against the Syrian nation. It is comprehensible that these Western-backed radical Islamist forces will later create a lot of problems for the citizens of the neighbouring Arab countries as well as for Turkey and also the Western government. The same results are already known from other examples (Afghanistan e.g.). One cannot just misuse Al-Qaeda and Taliban (as well as other Islamist forces) as tactical instruments and support them with arms and other aid without boosting them and to think that these supported forces will not later use this support for their further struggle against the Western “infidels”. This is a long shot … I was asked whether I am a terrorist at J.F. Kennedy Airport on 19th July 1997. At that time, I knew terrorists from US movies only but the idea to go on a business trip without any information where to stay and questioned twice by the authorities (?) in the US raises some question marks on my mind today!